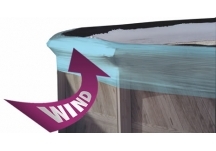 When you protect your pool this winter, you'll be glad you did next spring! 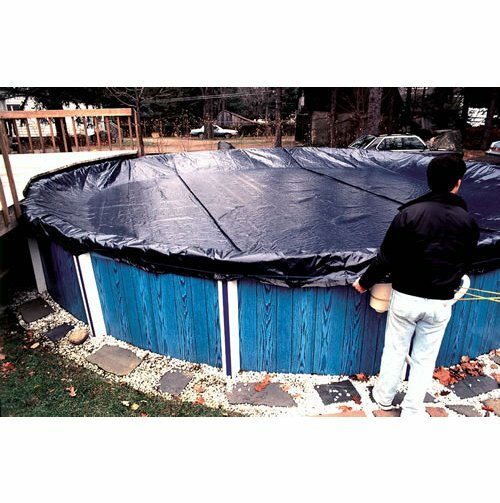 When combined with a proper winterizing program, this 22 x 42 Solid Winter Cover will protect your 18 x 38 pool from the wear and tear of freezing winter weather and eliminate costly maintenance and spring cleanup. 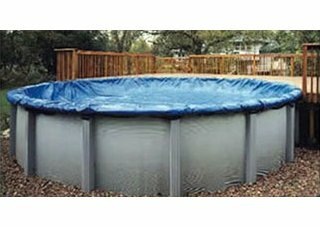 This pool cover is secured on your above-ground pool with a heavy duty cable and winch that are anchored by rip-proof metal grommets. We use the best material with the highest concentration of UV stabilizers to ensure your cover will last for years. We also back our covers with the best warranty in the business! - Our Classic cover is the best general purpose winter cover on the market with a 8-year limited warranty after a 1-year full warranty. 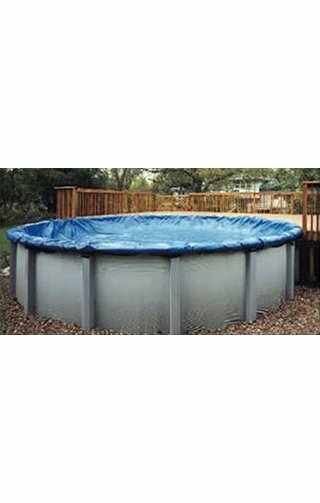 There are currently 0 reviews for the 18x38 Solid Oval Winter Pool Cover.